This molten chocolate lava cake is designed by chef Stéphane Bureaux. 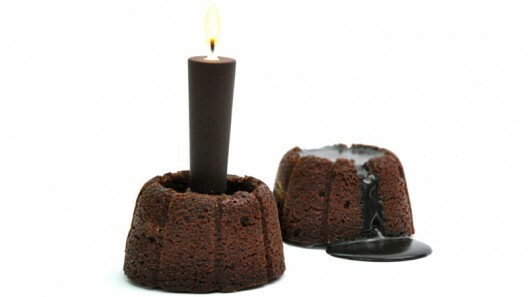 Instead of blowing out the candle once you receive the treat, you let the candle reach the bottom which turns the candle into gooey chocolate inside the cake!Mmmmm…!! !